Drawing seemingly equal parts from dark-age folk, psychedelic mysticism, and post-rock, this latest release by Fern Knight embraces some of the more straightforward folk sound of their 2008 self-titled release mixed with an abundance of the twisted gothic imagery that pervaded their earlier Music for Witches and Alchemists, along with some new turns and twists. As before, bandleader, singer and songwriter Margaret Ayre (née Wienk) is firmly at the helm of this ship, also contributing cello and acoustic guitar to the band’s sonic palette. A somewhat heavier, often jammy sound is invoked on many of the album’s nine cuts (“Cups and Wands,” “The Eye of the Queen,” and “The Poisoner” are immediate standouts), courtesy of bandmembers Jim Ayre and Jesse Spearhawk, both contributing electric guitars, drums, and percussion, and backing vocals, with the latter also on electric bass and harp. Throughout the proceedings, we have James Wolf on violin, adding color and a brighter melodic counterfoil to the darker, more sombre sounds of the cello. There also seem to be a number of uncredited guests on occasional flute and brass. For prog cred, an exceptional arrangement of King Crimson’s “Epitaph” comes late in the set, with cello, violin, and string harp taking a lead role in the instrumental mix, and Margaret’s voice perfectly elucidating the song’s foreboding lyrics. 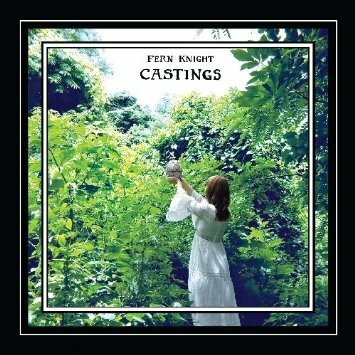 All taken, this latest release is a major step forward for Fern Knight, recommended for all.